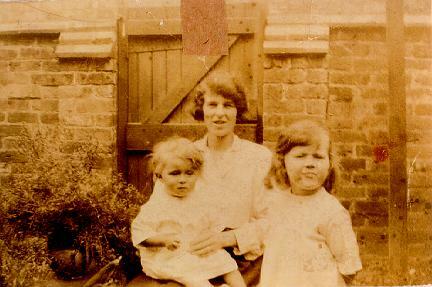 My sister Betty, Mother and me in the back garden of 45 Sparkenhoe Street, sometime during 1925. The back gate lead to an entry in Gartree Street. The boating pond, Gorlston on Sea, Norfolk. Sister Betty and self [wearing rubber 'paddling' drawers and hat] Summer, about 1927 - 1928. 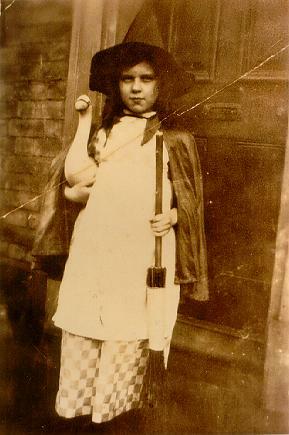 Me as Mother Goose,dressed for a fancy dress party at Medway School. 1929. The goose was rubber and had to be blown up. The checked skirt was made from old kitchen curtains. 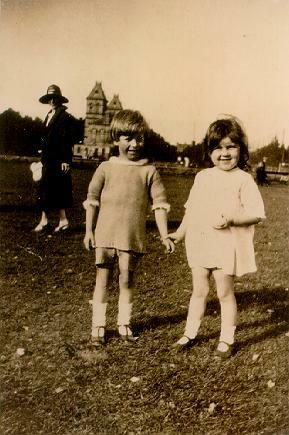 Mother, Jack Casely , the son of one of my mother s Bank colleagues, and me, on a visit to Victoria Park. 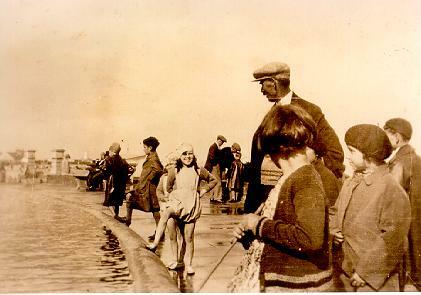 about 1925. Note the old twin towered Pavillion. 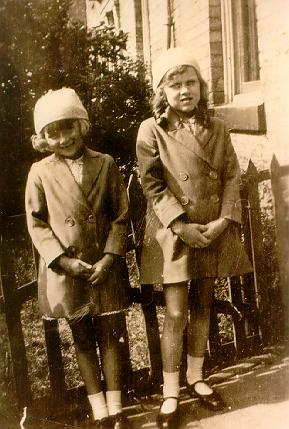 Sister Betty and self in the front garden at 48 Sparkenhoe Street. Approx 1928. 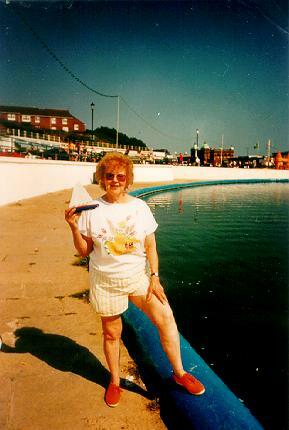 Me at the boating pond , Gorlston on Sea, Norfolk, 1997. 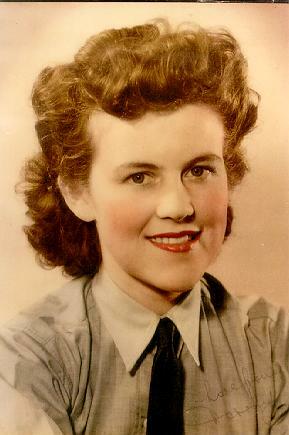 Me in the W.A.A.F, 1943. 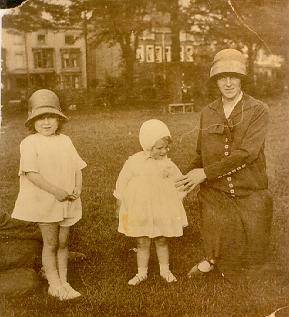 Me, sister Betty and Mother, on a visit to Victoria Park about 1925. I distinctly remember my hat, rough straw, which made my ears literally burn! A birthday party at the Hart home, in about 1929 or 30. 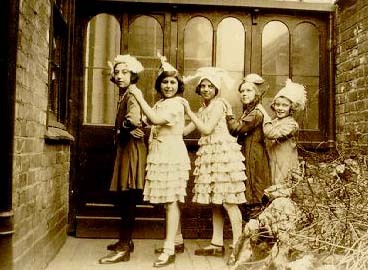 Left to right - Joyce Hart [ great neice of Sir Israel Hart ], Audrey Felstein [ now in Israel ], Margaret Caney, Me [Dorothy Cooper], and sister Betty [Cooper ].